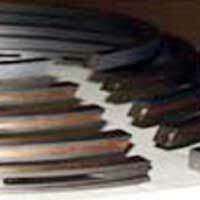 Shri Ram Engineers is the one stop destination for the purchase of optimum quality Pistons. 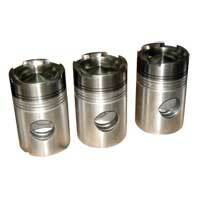 Made from special cast iron, Pistons are used for sealing the gap between a piston and the cylinder wall. Pistons up to 350mm diameter are developed using graded Aluminum & C.I. castings. 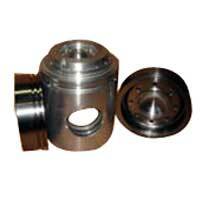 We offer a wide range of cylinder pistons that are made using high quality aluminum pressure die casting. LM-13 materials are heat treated, superior in quality, pistons help in giving compression to the engines. 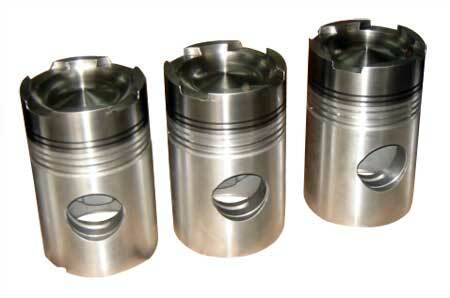 Pistons have better efficiency and are available in various shapes and sizes. Based on that, we have gained the clientsâ�� acknowledgment and statured on top. Made from special cast iron, our offered Piston Rings are the fine example of durability. Designed by experts, the Piston Rings are featured with many resourceful features, which are the demand-raising factor of them. Based on that, we gained the topnotch position of trusted manufacturer and exporter in market.